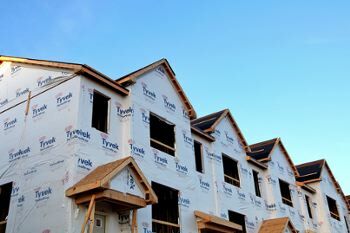 The BRegs Blog received a request for advice from a reader about providing completion certificates for multi-unit housing developments, started under one Commencement Notice. We put out a request for suggestions and we are very grateful for the many responses received and in particular those from Nigel Redmond (Building Surveyor) and Joe Byrne (Architectural Technologist). The Code of Practice (1) allows for ‘Phased Completion’ which means you can lodge multiple Completion Certificates under one Commencement Notice for houses and apartments that are “completed for occupation on a phased basis“. At a recent CPD arranged by the Society of Chartered Surveyors Ireland (SCSI) , Assigned Certifiers were advised that multiple housing units require full inspection and certification for each unit. It is not enough to spot check like you might in a hotel. Every house or apartment has to be fully tested and needs its own Inspection Plan, Ancillary Certificates and Testing Records because each unit will have to have its own Certificate of Compliance on Completion available for a prospective purchaser. The Assigned Certifier cannot rely on the Boiler test or the BER Certificate from a house or apartment next door! This requirement will have an impact on the workload of Assigned Certifiers who may not have anticipated the workload involved with every single estate house and every single apartment needing the same set of compliance documents as a “one-off” house. The Inspection records need to clearly identify the ‘unit’ and the sequence of inspections for that specific unit. It is not enough to have an Inspection Report for the smoke detectors or the steps in the hallway of the neighbouring hallway. Assigned Certifiers should pay particular attention to record modifications to specifications, changes in layout and finishes and to make sure that they are picked up in Inspection reports and in the completion documents. There may be some opportunities to use template forms but homes will particularly need individual ‘Part E’ and ‘Part L’ ancillary certificates and calculations because units vary with orientation, external junctions, party/external walls, size etc. Advice issued by the RIAI goes further and tells Assigned Certifiers to lodge another Completion Certificate for the overall development, to close off the Building Register file after multiple phased Completion Certificates have been lodged. A phased completion should clearly identify the building or works covered, so a “red line” drawing and an agreed numbering system for the file for each house and apartment is advisable. (1) Code of a Practice for Inspecting & Certifying Works- click link here. “ How will the Commencement Notices work for a Housing Estate of 100 Houses? 100 Completion Certificates will have to be issued; one for each house as completed, and then one for overall development/ external work”- click link here. So as per a previous post the fee for the Homebond ‘all-in’ Certification would be 202,000 Euros? Presumably the in-house certifier would get a fraction of this yet personally carry the full liability.Are we forgetting the reality of construction when it goes wrong, not only technically but economically.Imagine if one had certified something ‘in good faith’ (code for under duress) for one of those developments which became ghost estates?SI09 does not belong in the real world.